My name is Martin Gibbs. 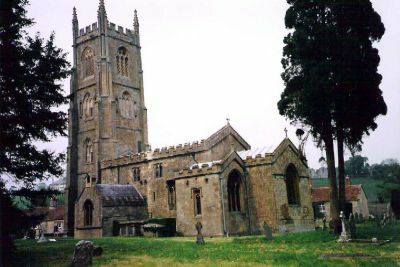 I have lived in Somerset all my life and was brought up in one of the prettiest villages in Somerset called Kilmersdon. Below you can see a selection of photographs of the village which nourished my childhood. 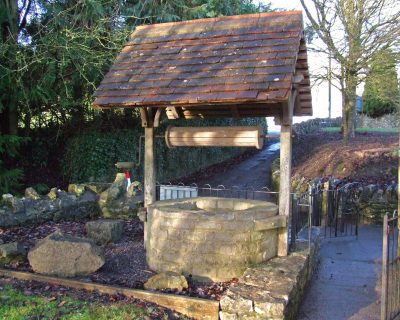 Kilmersdon is the home of the nursery rhyme 'Jack and Jill Went Up The Hill' and people come from 100's of miles to see the hill and the well at the top. Due to it's isolation in the picturesque Somerset countryside in the foothills of the Mendips to the West was the unlikely reason which spawned my interest in the Weather way back in the 60's. In late 62/63 the area witnessed some of the worst snowfall in living memory and being as I was just a small infant at the time the area became inaccessible from the 60's infrastructure and so we were trapped in our homes for weeks with provisions brought to us by primitive means even by it's day. Through the 70's school and college took up most of my time and I eventually settled for a career in Retailing in the town of Radstock 2 miles away. In those days the only way to travel was on cycle and on the way to work I passed the old Kilmersdon Coal Colliery at Haydon which was the principal occupation of the area's workforce early in the 20th Century. As we moved through the 80's I met my now wife and have lived together now for nearly 35 years. We had two natural children, a girl and a boy and later adopted a 7 year old lad in 1997. All three have been raised in the Midsomer Norton and Radstock area and have been very happy here. 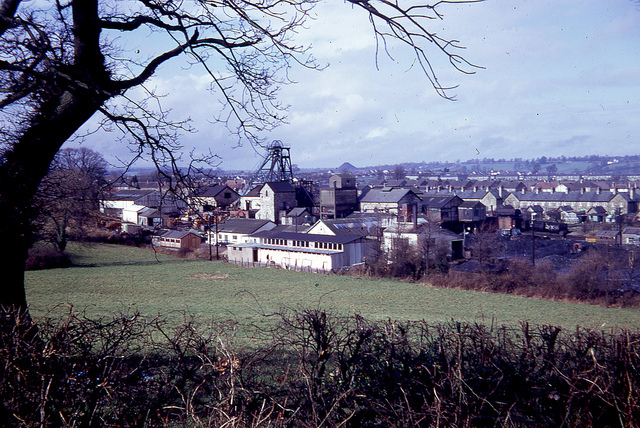 Some images of both Radstock and Midsomer Norton can be seen within this website with the heart and soul of the towns giving reference to the deep mining history the area holds such as the mining wheel in the centre of Radstock along with the museum not forgetting the conical waste coal pile close to Midsomer Norton which is the biggest and most noticeable landmark to anyone entering the area from the Northwest. 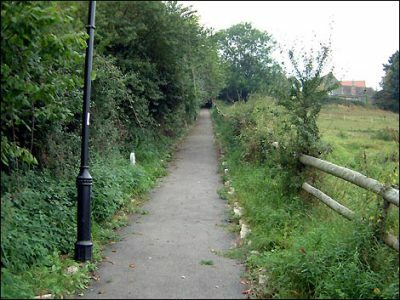 As of the current day I have moved from Radstock and have now moved back to my homeland of Kilmersdon just 2mls away but I continue to run the site it as it always has been but from a rural village location as opposed to a town one. Throughout all this​ time my interest in the weather continued and from keeping primitive handwritten daily accounts of weather and using basic thermometers and barometers it was then as technology advanced I gradually began to compute my data with greater accuracy onto computer software. Since the internet has become such a powerful tool with providing me with at the finger tip access to Satellite images of clouds and precipitation I began to think about how best I could turn back my knowledge of the weather in a way that the community in which I live could share. So I began learning about scripting and building websites in general. You can view weather Records from the past for my area dating back some years from the Kilmersdon Live Weather Page then clicking on Kilmersdon Station and History Page where you can navigate around, selecting date parameters for data relevant to that date. I currently have a live webcam streaming images 24/7 looking in a Northerly direction across the village towards the Church and this can be viewed all over the world even at night. I aim to expand more webcam data to cover more directional points of the compass very soon. Finally I have created a gallery of photos of cloud formations and weather phenomenon which may assist people make their own predictions and understandings of weather which I think you could find quite interesting and fun. Once more I hope you bookmark this site for perusing on a daily basis. If you feel there is anything I can add to improve your enjoyment of the site please contact me on the contact or comment pages contained within the site. Finally a word about how to get the best out of this website. It is always hard in this modern age with so many different platforms and devices around able to obtain the internet to give the best performance from a website that will suit most folk. In my endeavour as always I recommend viewing the whole content on a desktop computer with 'flash' capability. Some of the live data can only be viewed on desktop and laptop computers that operates on a Windows or Mac platform or other equipment that supports 'flash' content. Many tablet PC's, Ipads, Iphones and Android devices do not currently support 'flash content from their default browsers like 'Safari'. To overcome this in both iphone and android devices their are some alternative browser apps which supports 'Flash' which you can download and use free of charge from your devices app store which gives mobile devices the best chance to maximise the enjoyment of all websites, not just mine. In compliance with most websites nowadays it has also become necessary to make any site mobile friendly as that's where most people view the internet in these modern times. To that means I have made all pages of this site as mobile friendly as I can so there is no excuse not to enjoy the site wherever and on whatever device you choose to use. However, as stated above there is no substitute for the capabilities of a desktop or laptop computer where screens are much bigger. Of course there is Facebook which is linked to my website where the Kilmersdon Weather Page gives the very latest info on hour by hour changes which the website can't always deliver and is also the place where I can answer any questions about this site or the weather station I own or the weather itself. So I hope this service to the community I live is something I hope many of you will enjoy for years to come be it just as a passing glance on the Kilmersdon Weather page on Facebook or the comprehensive detailed reports I'll make available from the full website.